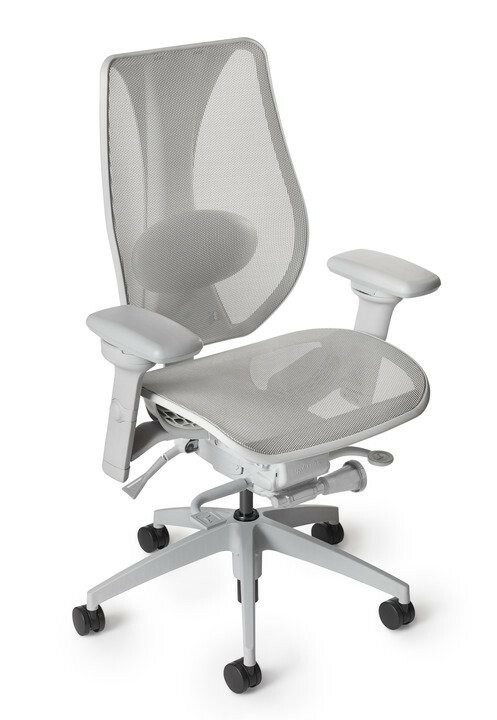 The tCentric Hybrid™ Full Mesh Syncro Glide Task Chair is first mesh chair that provides true ergonomic adjustments and support with the aesthetics that designers will love. 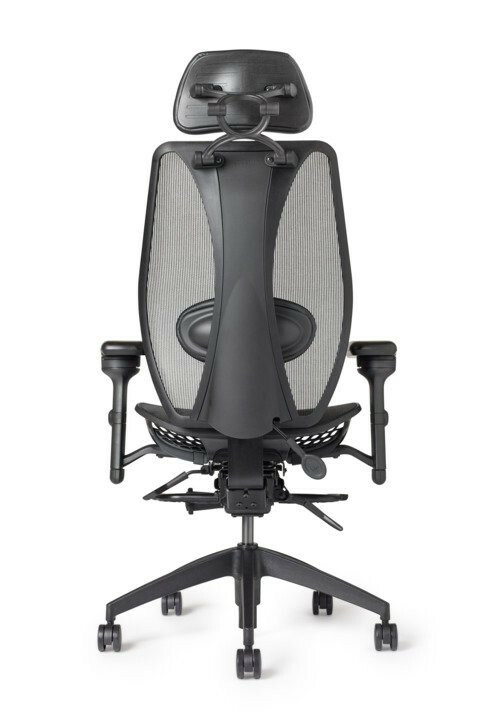 The breathable elastomeric mesh back and seat prevent heat build up and the dual curve backrest insures full back support during the work day. Airless cushion technology insures a comfortable and supportive seat for the life of the chair. 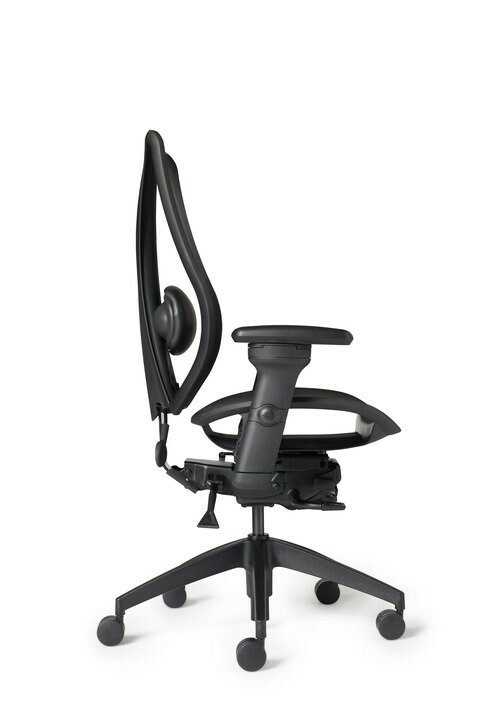 The tCentric Hybrid™ comes with an adjustable height lumbar pad that can also have an air lumbar feature added for optimal lower back support. This high back chair includes 9 standard adjustments (including Swivel Arm features) to adjust specifically to your comfort and support needs. Standard seat pan slider allows this chair to fit people 5' 5" to 6' 2" tall. 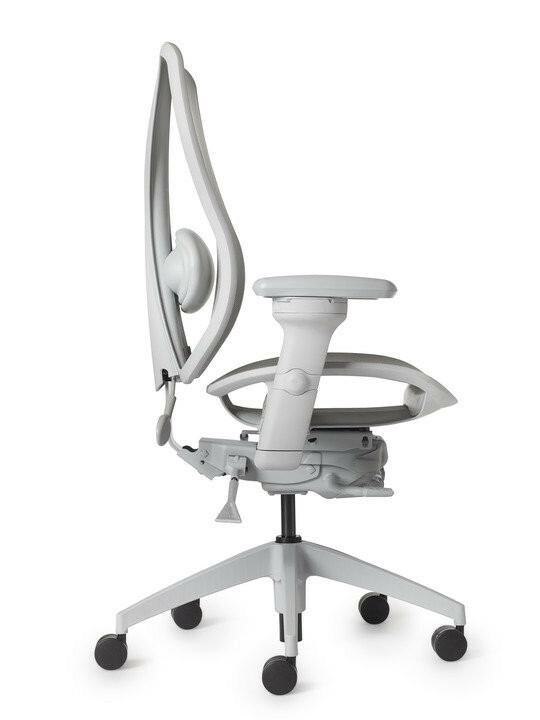 The patented back height adjustment allows for proper positioning of the lumbar support and can be locked in place to insure correct back support all day. A 12 year / 350 lb. 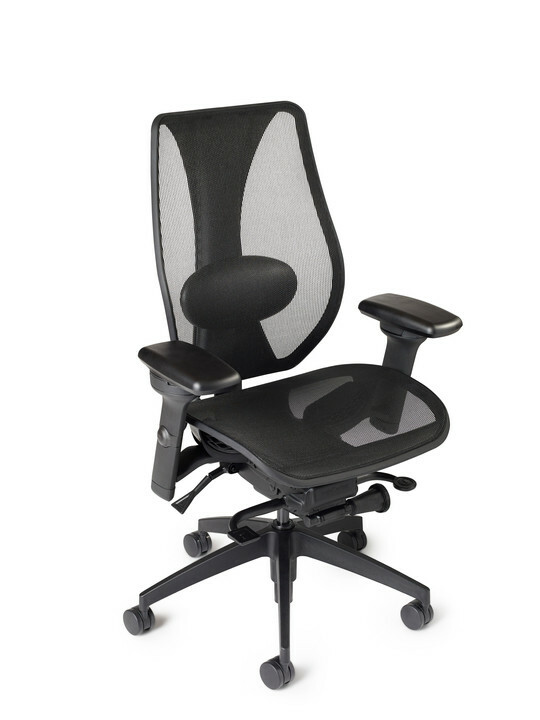 warranty on all chair components and lifetime warranty on chair pneumatic is provided. The tCentric chair ships fully assembled within 10 business days. Available in Midnight Black or Light Gray mesh colors. 12 Year Warranty for weights up to 350 lbs.